My coaching felt rehearsed. My expectations and goals felt predetermined. And before I knew it, I realized I had somehow adopted someone else’s philosophy. This content is presented in partnership with USA Volleyball, the national governing body for the sport of volleyball including indoor, beach, sitting and snow. At that moment, I had the perfect opportunity to fall back on an old philosophy that aimed at conquering some secret benchmark, some quiet expectation that was not my own, or I could keep the promise I made to myself to do things differently this season – to go beyond my zone of comfort and train this tiny group of nine with the philosophy I had once embraced when I didn’t care about what people thought of my practices. I took a deep breath and wrote out our practice plan for the evening with a hardened certainty. There was no going back now. Sometime after my first experiences of coaching girls developmental 14s teams, I decided that it was my job to prepare my players for high school volleyball. I just had it in my head that I was the one who needed to get them caught up … that this year was that stepping stone to something greater. I pushed them to know all the basic high school concepts, to run through all the drills that brought up their volleyball IQs so that they were prepared for high school volleyball. With this objective, I felt determined to get these kids practicing skills that so many of my coaching peers complained of players not having. I had milestones to hit, and nothing was going to stop me. My players got better over the course of the season, but somehow – season after season – something felt wrong. I, of course, was proud of them and we won matches, but something was missing. My practices felt programmed. My coaching felt rehearsed. My expectations and goals felt predetermined. And before I knew it, I realized I had somehow adopted someone else’s philosophy. I no longer cared about what kind of defense we should be playing based on our opponent’s strengths or weaknesses. We were going to run THIS defense or THAT defense and that was it. I forced my blockers to jump at the net even though they could barely reach above the tape. Because everyone blocked in high school, we were going to block, too. I made them learn how to attack the ball on the net even if they were 5-2. All the hitters in high school were jumping at the net. Why would we set you five feet off? Get this done! I was preparing them for high school and teaching them how they’d do it next year. I used drills to encourage playing, more touches, goal setting, making practice game-like and random, but the hard truth was I wasn’t actually coaching the team that I had. I was coaching the team that I wanted. I was devastated. What happened? How could I have let this happen? I pushed my players to their limits and beyond. I saw growth, I saw improvement, we worked hard. I thought I was doing everything right, but if I was truly doing everything right, why did the end of the season provide only this sinking feeling that I missed something again? I may have been hitting those benchmarks that I had preset for my teams and handing off players to the next coach with some good volleyball skills and a greater understanding of the game, but I wasn’t truly coaching the team that I had. I wasn’t training my teams based on the competition we faced or making adjustments based on what strengths we had on the team. I was following a background protocol – a template – and now that I had come to realize that I was doing an injustice to my players, I vowed to make a change. This season was going to be different. This was my chance to trust the process even more than ever before and to focus wholeheartedly on the “why,” giving my players the freedom and the tools to make their own decisions when something wasn’t going well. I decided to take more time to develop good platforms, footwork and systems that would work best for the level of play we competed against. I refused to train with the outcome in mind and was committing myself to slow down and work out the imperfections in our execution. I was determined to focus on confidence building, communication on the court and getting to know each of the players individually. Now that I had reevaluated my deteriorating coaching philosophy, it was time to put my plan into action. The response from the players was incredible as practice became focused on holistic learning. I made mistakes along the way but confessed to my team as they occurred. I pushed self-discipline and holding each other accountable. I stressed that little things matter. I opened up and got to know my players a little and then pushed them harder than ever. They were completely willing. By the end of the season, I finally felt that fulfillment that I had been missing for so long. Not only had I completely let go of that dull, predictable doctrine that I stood under for so many years, but I had freed myself to truly focus on the team that was in front of me and provide us all with new perspectives and possibilities. I hope to never make the mistakes I’ve made in the past and continue to reflect on each season, having the courage to change for the next. 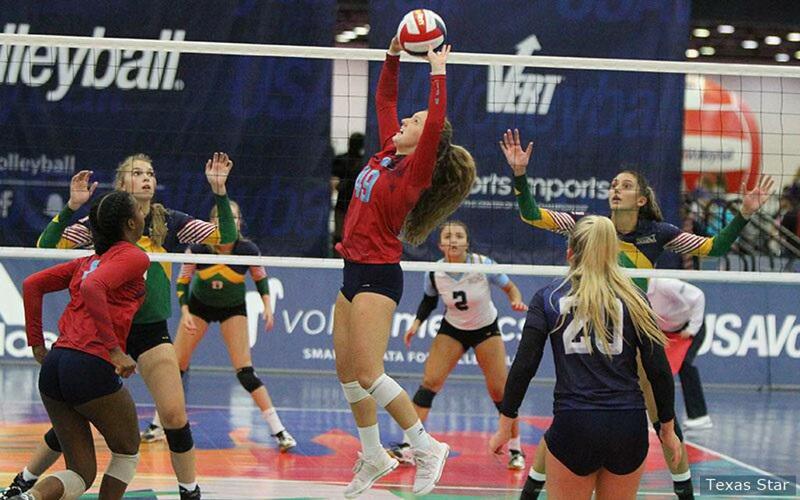 Volleyball is malleable and your team, as special as they are, should be given the tools and the training to best prepare them for success THIS SEASON, not force them into some unspoken expectation or tradition for the next one. 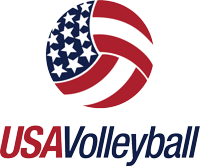 USA Volleyball is the national governing body for volleyball in the US, beach, indoor and sitting.